Platinum Games, the developers behind Bayonetta and Nier: Automata, spoke of their desire to develop their own, original IP last year. In a new interview with Game Informer, their co-founder Atsushi Inaba says the company are in fact working on two new IPs, which they also plan to self-publish. Ones to watch for our list of exciting upcoming PC games. That would be a first for Platinum, who have generally licensed other IPs and worked with larger publishers to bring them to market. With a team of roughly 20 people, expect these designs to occupy the space between indie and triple-A – a field that has been fallow in recent years, but which more mid-sized developers are looking to target after the success of titles such as Hellblade: Senua’s Sacrifice. 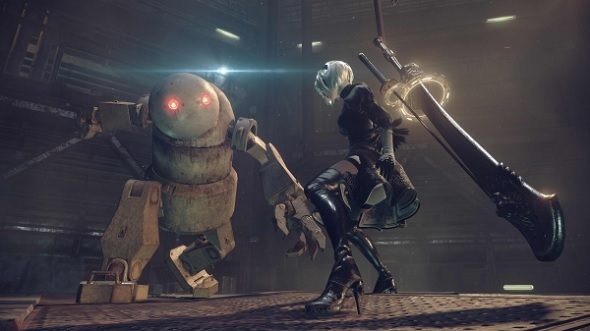 None of these ambitions will crowd out Platinum’s traditional method of partnering with publishers to make larger games, however: “We will continue to do triple-A games for other publishers, and that’s because, again, we don’t have the cash flow to take on the risk to only do self-published games.” We know a new Nier game is in the works, and Bayonetta 3 is currently in production for Nintendo Switch. We got a PC version of the original, so it’s not out of the question that it comes to our platform.